Thank you from the bottom of our hearts for the thoughtful prayers, messages, comments, calls and little presents sent our way this past week, it means so much to us! 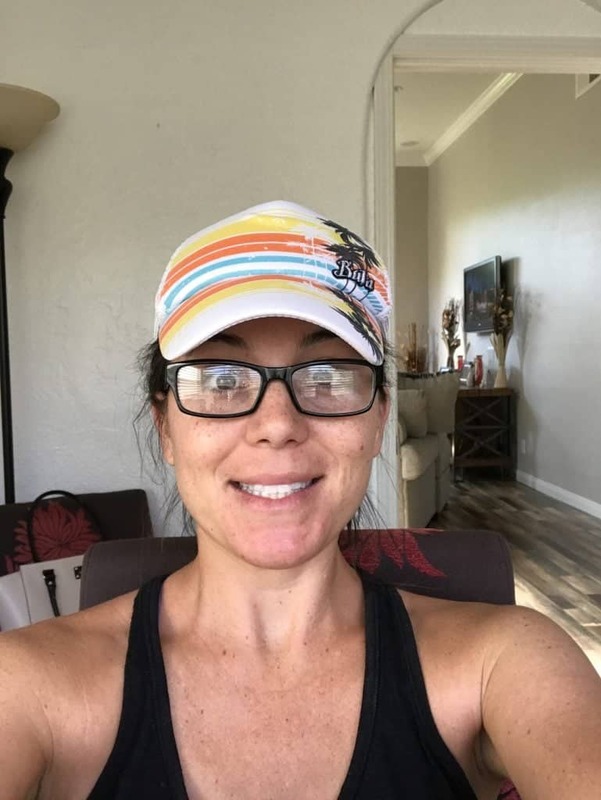 I wanted to check in and give you a few updates since I know many of you are likely unfamiliar with the IVF FET process. Basically, on Thursday, we had our FET in which we got to see the first picture of our little Bumble Bee! To give you the quick scoop, basically, they removed our little bee from cryopreservation (the freezer) and it survived. The first big win of the day. Sometimes the embryos don’t make it through the thawing process so that is always a concern. Once we received the good news, the embryologist (who is by far the coolest lady on the block, I want her to be my best friend, is that weird?) came in and spoke while my Valium set in. This time I opted for two instead of one to make sure I was super relaxed. If you remember from our first back in January, I jumped off the table to soon and the doc had to remind me to lay back down. So, two was better than one in my opinion! Now, back to the embryo. If you look close you can see the dark spots on the left. That’s actually the mass of cells that will become the body! The bubbles around the outside are essentially the placenta that will form. Here’s to hoping that is 100% true! Then, onto the procedure. It went as smooth as could be. Our doctor started off after examining me and stated yet again a big positive, I had the best lining she’d seen all week! Considering they run the largest fertility clinic in San Diego, I was quite thrilled with that news. 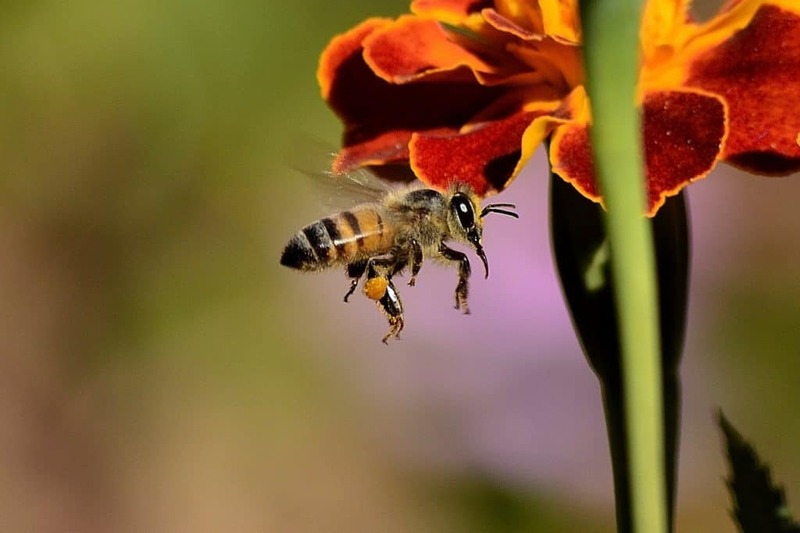 Another win for our bee! The procedure took less than 5 minutes and really had such a great vibe in the room which helped ease stress. And, of course, my main squeeze was right by my side holding my hand and laughing along as the room continued to refer to me as “the author” and joking about the bee being the best marketing tool for the Fertility Foods book coming out in just one month with my lovely friend and co-author Sara Haas. All in all, it was a big positive for the day. I’ll get into the one hiccup that happened at another time, I don’t want to crash the good juju we’ve got going right now! I’m day 4 post FET and feeling great. Considering most people who get pregnant really don’t realize it until about 4 weeks after conception, it’s unlikely to feel any symptoms just yet. 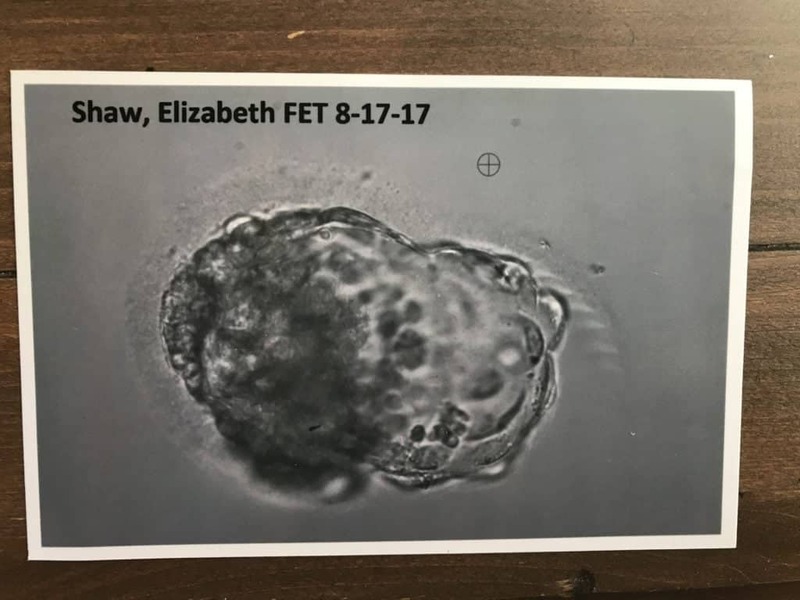 And, oh yes, technically Bumble Bee was 5 days past conception when implanted since it was a 5 day blastocyst when frozen, so our first test will be this Friday, August 25th. This will check for any level of HCG (the pregnancy hormone) in my body. So, this is probably the number one question I get from those in the #ttccommunity and honestly there is no direct guideline to follow. In the old days, IVF patients used to have to be on bedrest for one week following transfer. However, longitudinal studies have identified that this is no longer necessary or more effective in increasing odds of a successful implantation. Thus, I’ve been moving, but just not as vigorous as the norm. For instance, the day of the FET, it’s recommended you really just chill. I did work but it was from the comfort of our big fluffy chair and having the hubs wait on me, which was quite nice. The last two days I’ve been moving but more just for fun. Now, keep in mind the best recommendation is to listen to your doctors advice. My doc said I could resume normal activity, but for me, I just feel better taking it at about 60% of my normal pace/routine so I don’t have those what-ifs in my mind! Nothing strange here, still eating my Fertility Fueling Foods, with a high emphasis on complex carbs. 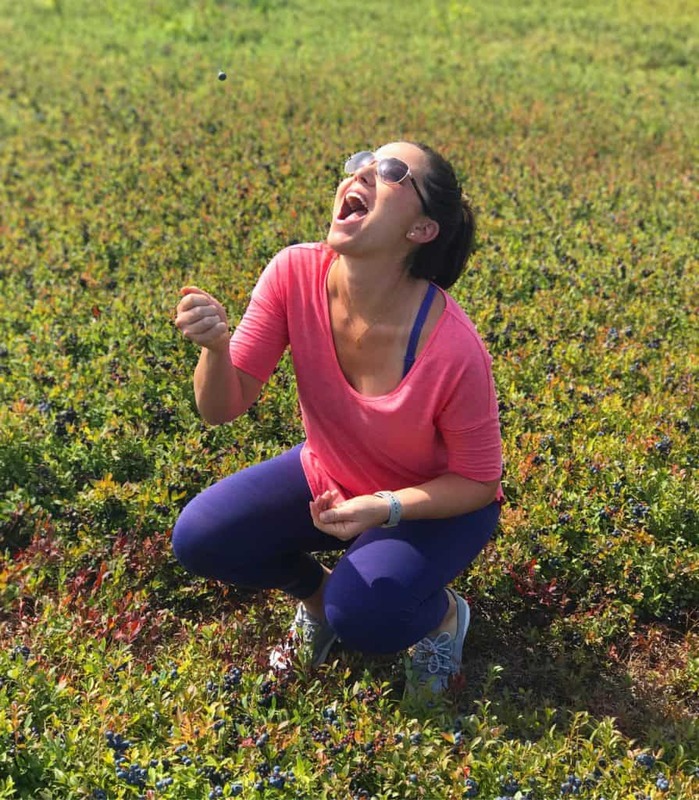 Research has shown higher rates of successful implantation during IVF with higher intakes of whole grains so I’m basically living off plants (like the wild blueberries above I ate straight from the fields), beans and whole grains, and of course some dairy too :)! I’m off for my last trip of the summer tomorrow up to Monterey in California to learn from the Alliance for Food and Farming! Looking forward to this trip as a way not only to stay busy and keep my mind going, but also because what foodie doesn’t want to speak directly to the farmers and producers who grow our nations food?! I’ll likely be checking in again this week if I get some time to tell you that one hiccup from the FET (anyone with a past history of ED or works with ED clients will likely be engaged by this). Lots of love, hugs and baby dust!